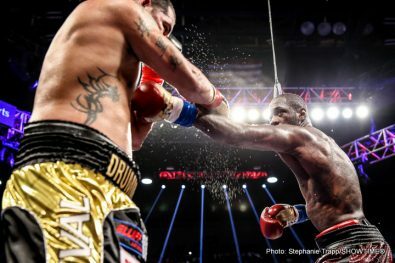 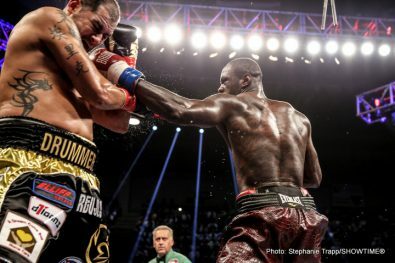 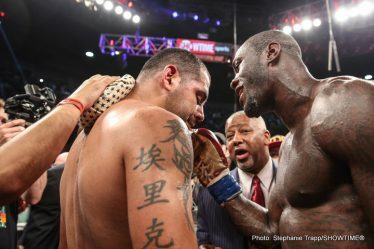 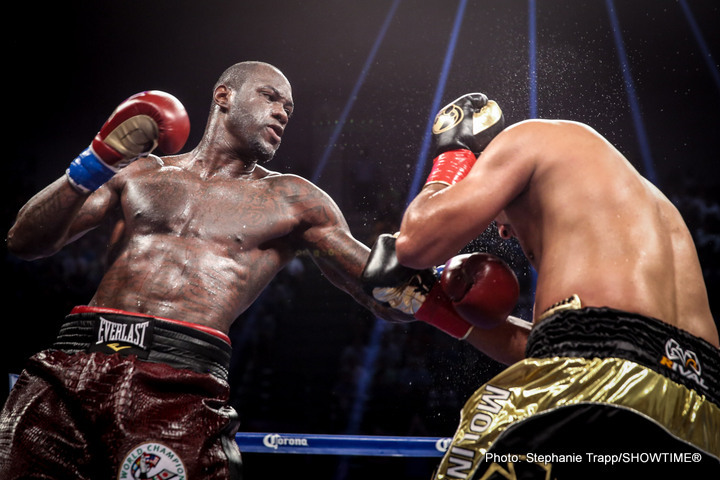 In the first title fight in the state of Alabama, Deontay “The Bronze Bomber” Wilder (34-0, 33 KOs), had to work harder than expected before dismantling Eric “Drummer Boy” Molina (23-3, 17 KOs) with a ninth round knockout Saturday night in the main event of SHOWTIME CHAMPIONSHIP BOXING® live on SHOWTIME. 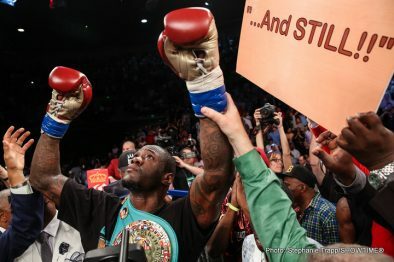 Hometown hero Wilder, who was born and still resides just 60 miles down the road in Tuscaloosa, dropped Molina, of Lyford, Texas, with a straight right hand 63 seconds in the ninth round, prompting referee Jack Reiss to call the fight off as a result of Molina’s fourth and final knockdown of the evening in front of a raucous sold out crowd of 9,347 at Bartow Arena on the campus of University of Alabama Birmingham. Wilder knocked down Molina once in the fourth round with a left hook and twice in the fifth round with his deadly right hand, looking as if the fight would be stopped before the start of the sixth round. 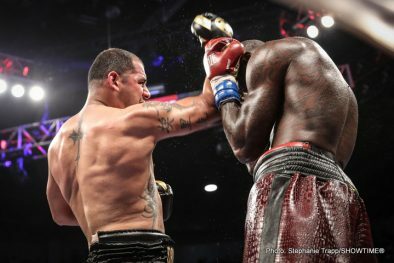 But Molina was determined to get up and was even able to land a big right hand in the eighth round, stunning a seemingly tired Wilder. 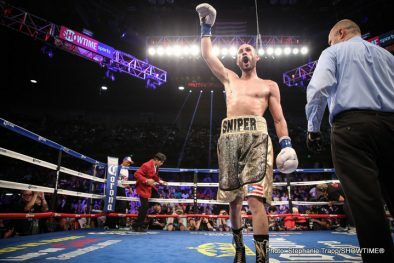 In the opening bout of the SHOWTIME CHAMPIONSHIP BOXING doubleheader, Jose “The Sniper” Pedraza (20-0, 12 KOs) dominated Andrey Klimov (20-1, 9 KOs) from the opening bell to claim the vacant IBF Junior Lightweight Title with a unanimous decision victory. 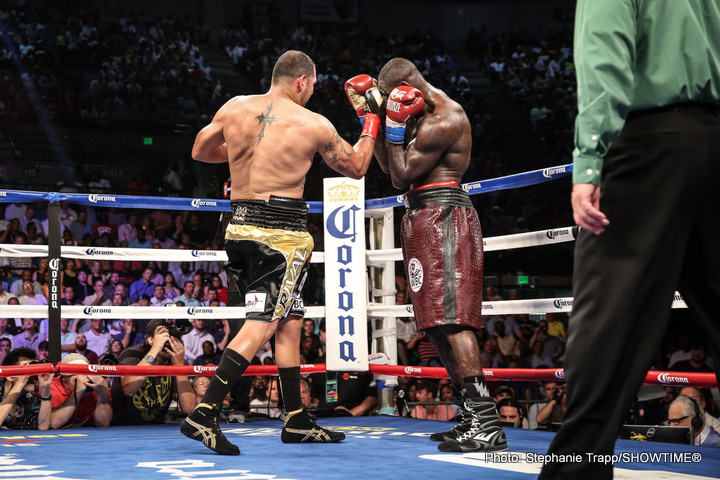 Pedraza, making his 2015 debut, triumphed by the scores of 120-108 twice and 119-109. 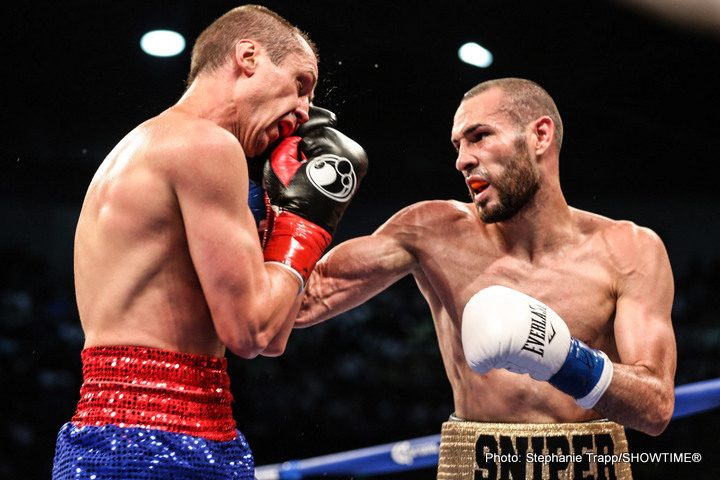 From the opening bell, Pedraza, of Cidra, Puerto Rico, used his superior hand speed, combination punching and body jabs to create distance and keep Klimov, of Klimovsk, Russia, at bay. 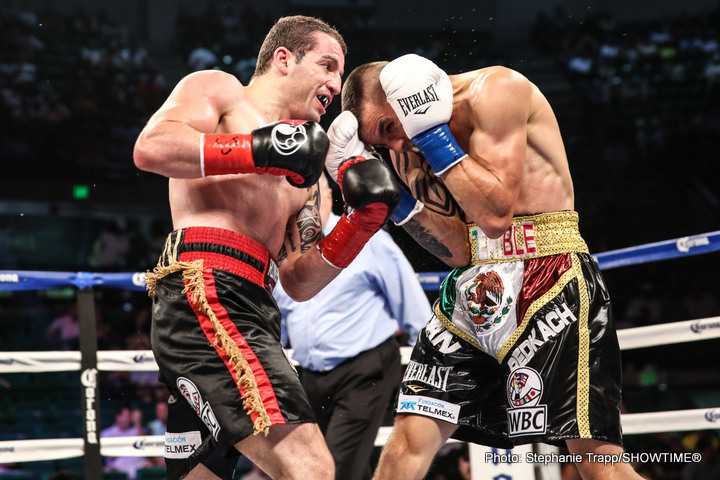 Pedraza landed 50 percent of his power shots compared to a 26 percent rate by Klimov. 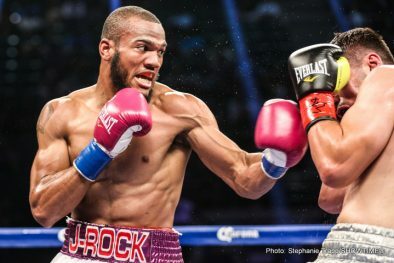 The Puerto Rican becomes the 62nd fighter who has appeared on ShoBox: The New Generation, to become world champion. 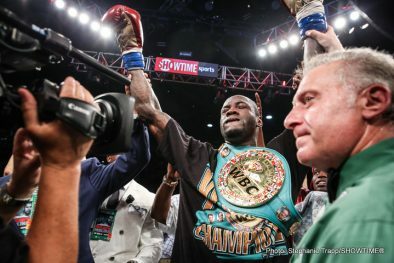 Opening the SHOWTIME BOXING on SHO EXTREME telecast undefeated Julian “J-Rock” Williams (20-0-1, 12KOs) of Philadelphia, Pa. delivered an impressive sixth-round TKO (2:43) over Armen Ovsepyan (14-5, 11 KOs) of Yerevan, Armenia, to retain his WBC Continental Super Welterweight Title. Williams started strong knocking Ovsepyan down with a big right hand 35 seconds into the first round. 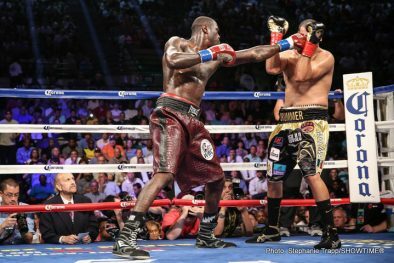 He continued to outbox Ovsepyan, breaking him down with big and accurate body shots with both hands. 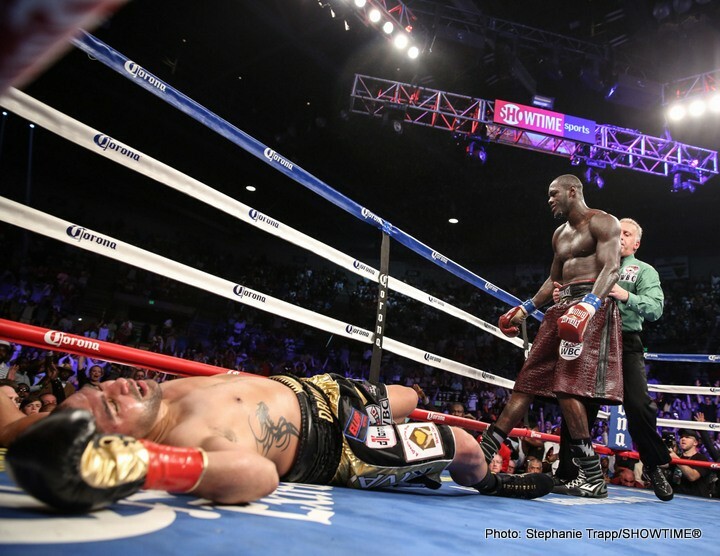 By the time of the stoppage, Williams had landed 52 percent of his total punches, compared to Ovsepyan’s 19 percent. 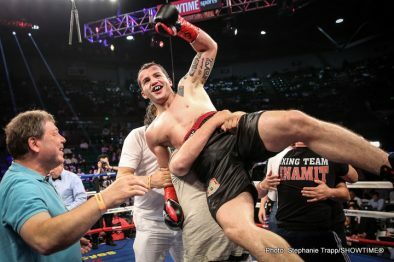 In the SHOWTIME EXTREME main event, undefeated Montenegrin Dejan “El Dinamita” Zlaticanin (17-0, 10 KOs) delivered an upset with the second knockout of the evening, tarnishing the unblemished record of Ukrainian Ivan “El Terrible” Redkach (18-1, 14 KOs) with a TKO at 1:24 of the fourth round with a devastating left hook. 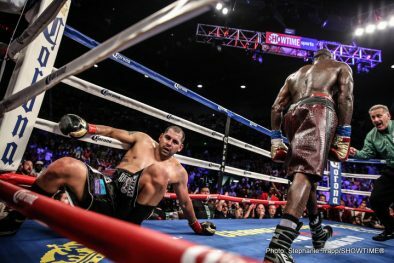 Redkach had a six inch reach advantage over Zlaticanin, but the Montenegrin was the stronger more accurate man landing 33 percent of his total punches compared to Redkach’s 21 percent. 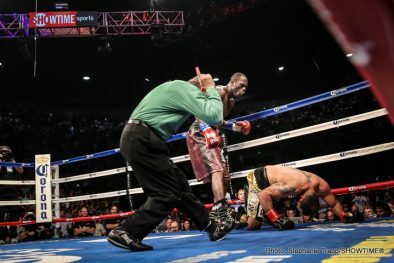 Redkach took a knee in the third after a low blow and an accidental headbutt that led to a small cut. 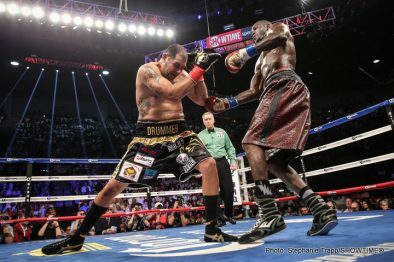 At the time of the stoppage, Zlaticanin was ahead on all the scorecards, 27-30 and 28-29 twice. 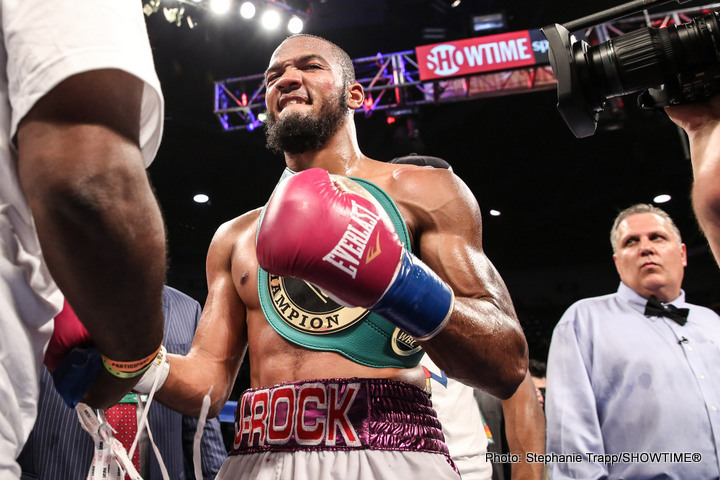 In a swing bout, promising undefeated prospect Ahmed Elbiale (11-0, 10 KOs) of Miami, Fla. by way of Egypt, scored a 1:04, first round knockout over Donta Woods (8-5, 7KOs) of Atlanta, Ga.